Hey there! It’s Robin Redd, back with you to show you my second project with Sin City Stamps and Composimold. I have to tell you, I’ve been having fun playing with my gel plate that I made with Composimold for my previous post. 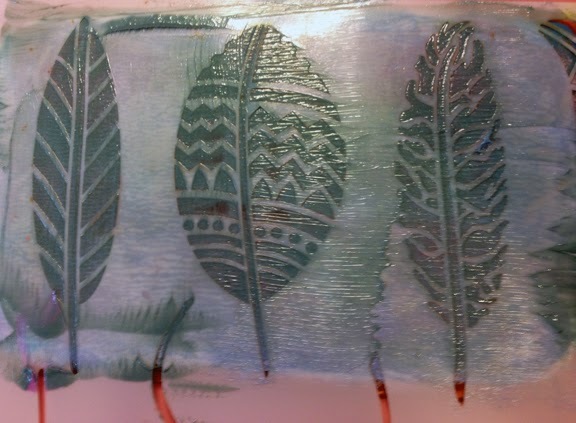 I have even melted it again and made a new gel plate in a different size! That’s another thing that makes Composimold so desirable! If I happen to cut into my plate or gouge it with a sharp edge, all I have to do is make a new one with the same product. Within MINUTES, a new plate will be ready to go! and some of my fun stencils I have. 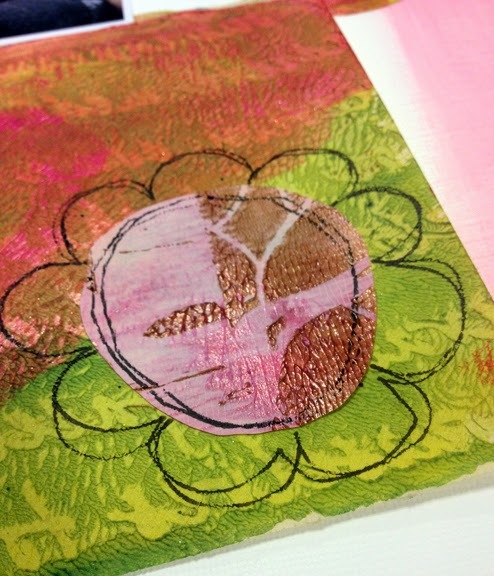 Here’s a pretty feather stencil from Julie Balzer and The Crafter’s Workshop. 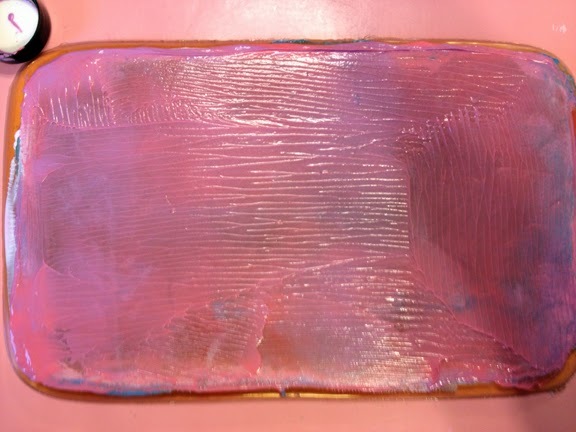 Look at this pretty Cotton Candy Dimensional Paint from Art Anthology! 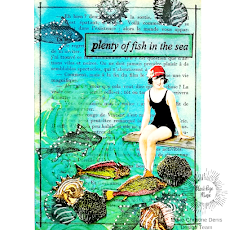 Here’s a sampling of the pretty collage papers I made. Now, to show you how I put some of those pretty, gel-plate, collage, papers to use. 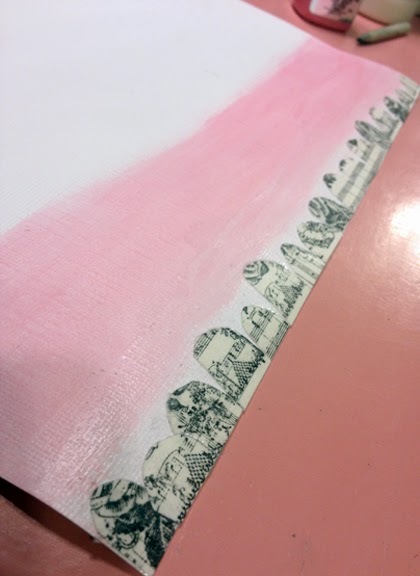 I started by painting a strip of some Cotton Candy paint from Art Anthology down one side of my 12” x 12” ‘canvas’. 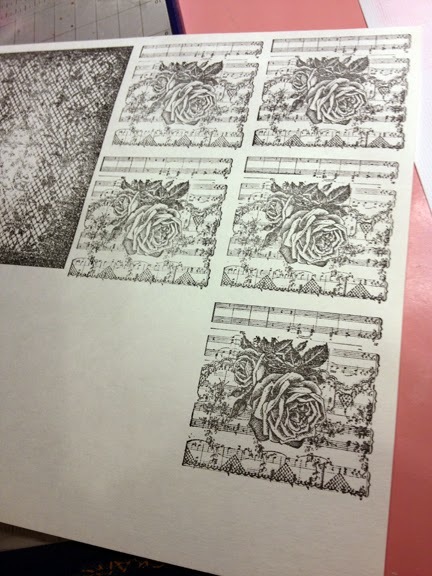 I stamped the Romantic Background Stamp a few times on a piece of white sketch paper. 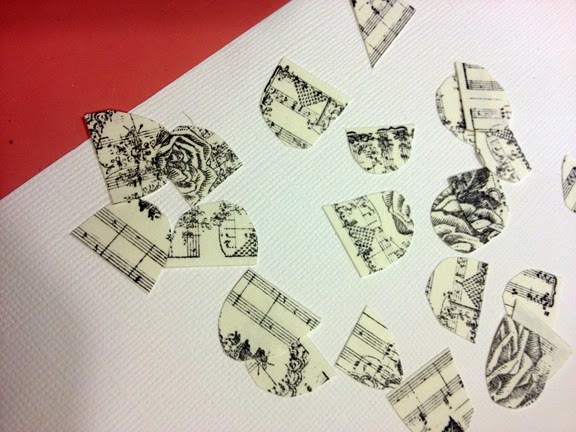 I free-hand cut quite a few scallops out of the stamped images. 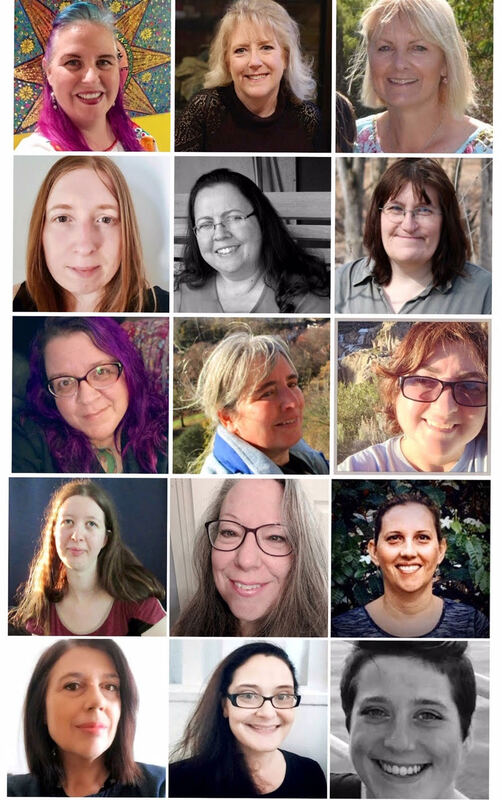 I made these various sizes, heights and widths to give my layout a whimsy look. 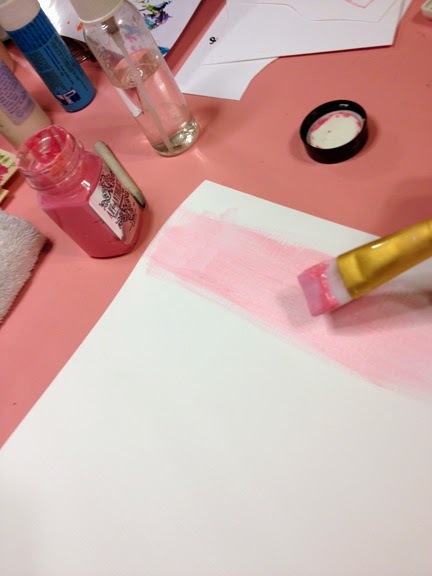 next to my painted pink strip, using Liquitex Matte Medium. I made a few layered, free-hand drawn and cut flowers. 1. Cut three large circles out. 2. Adhere a circle on another collage paper. 3. 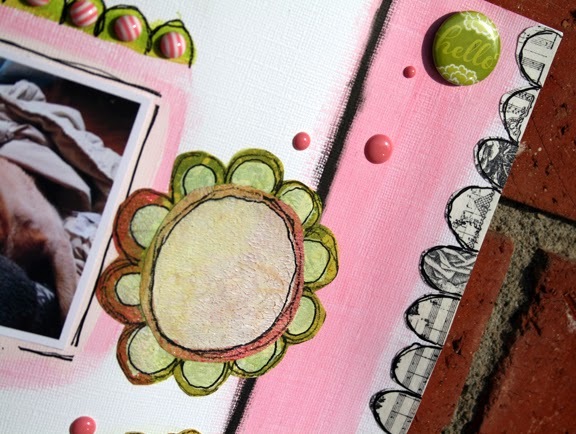 Draw petals once then twice over the same petals to continue the whimsy look. 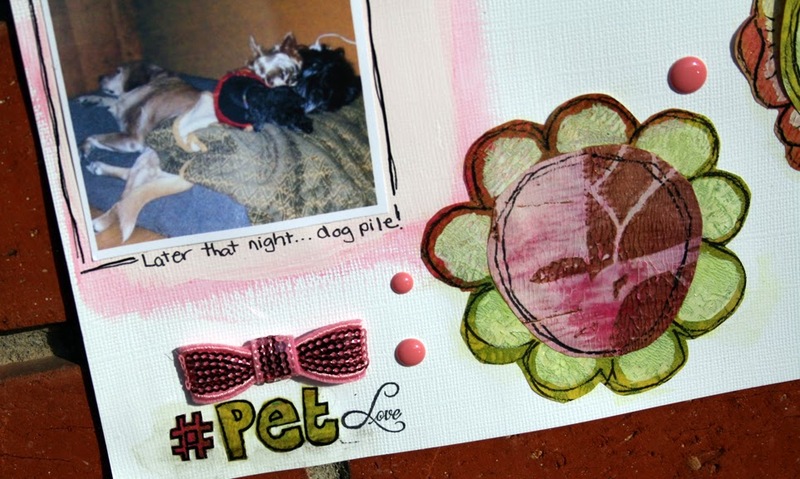 I hand-drew the title of my page, #Pet and stamped Sin City’s stamp Love next to that. I use that ‘hashtag’ when posting pictures of my pets on Instagram. I’m pretty sure this ‘hello’ flair is from Recollections. 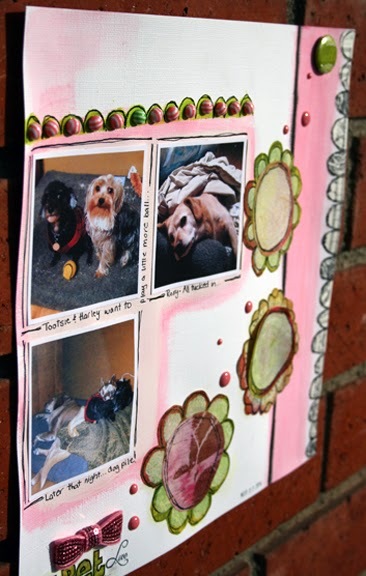 The scallops at the top were painted on with Limeade Dimensional Paint from Art Anthology. 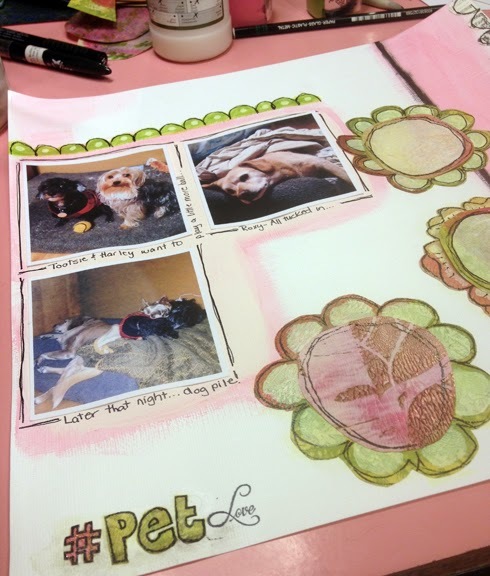 I outlined them with a Scarlet Lime pen with works great when writing over paint. I embellished the scallops with Queen’s Co Candy Stripers. so that the ink does not bleed when applying flowers or anything with matte medium. This pretty pink bow is from Freckled Fawn. I believe the enamel dots are from My Minds Eye. 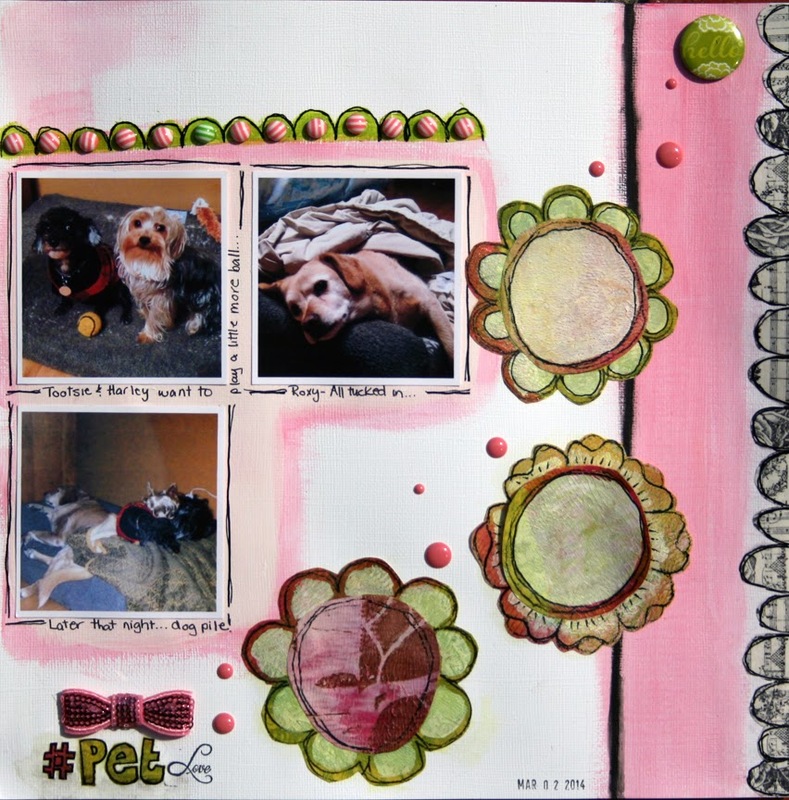 And, here, is my completed layout featuring the loves of my life, Tootsie, Harley and Roxy….ha-ha!